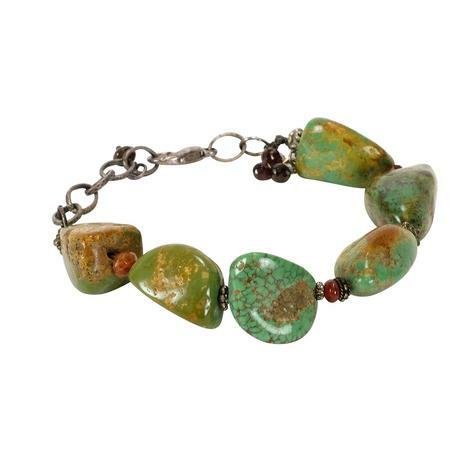 Walk into any function wearing such a striking turquoise bracelet, and you will be sure to get admiration from everyone. 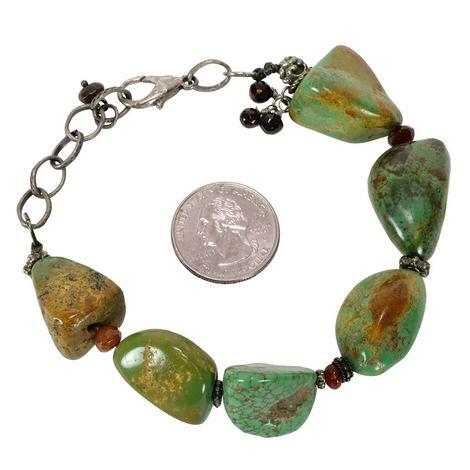 Its immortal style is a classic multi turquoise nugget with hints of copper making this bracelet truly one of a kind! Length End to End: 11 1/2"